Should I use WordPress? – It’s a question we get asked multiple times per week when a client or potential client is looking at which platform to use for their business. 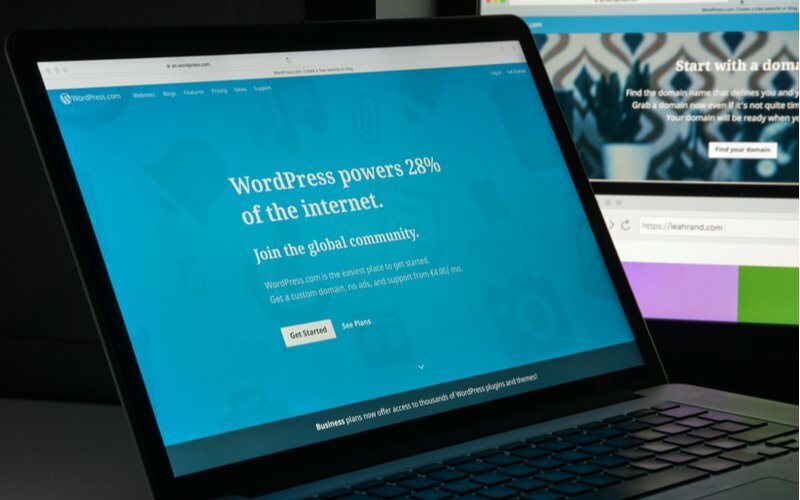 For those that aren’t familiar with WordPress, it’s by far the most popular content management system (CMS) out there, and we’re going to take to a look at why with this post. There is no shortage of CMS’s out there, but according to W3Techs, WordPress make up more than 30% of sites using CMS’s (For comparison, we also frequently get asked about Squarespace – Squarespace has 1.3% of that market). So what’s the appeal of WordPress? Millions of people use it, it’s entirely customizable, you can pick from free templates, paid templates, or even custom code your own website as WordPress is actually open source software… The list goes on and on, and the reality is that while small businesses can do wonders with WordPress – so can websites like The New York Times, a site that receives millions of visitors each month. The platform can scale depending on what you’re using it for, and that type of flexibility and ability to customize makes it an ideal platform for most businesses. So, Should I Use WordPress? Here are our top 5 (of many) reasons why you and your business should use WordPress. With more than 52.2% of website traffic being mobile, mobile optimization is key. WordPress makes this painless with responsive themes and numerous plugins that are available to you either for free or at relatively low cost. However, unless you’re super savvy with WordPress or web development, you may need help setting these themes and plugins up and customizing them for your use, but the fact that a good chunk of work is done for you, in many cases, will help lower your development costs. We can’t emphasize enough how important your site speed is. Site speed is a critical part of user experience and SEO. The longer your website takes to load, the quicker it will be abandoned. And not only will fewer people visit your site, but Google will bump you down in the search results. Curious how fast your site loads and how it appears to Google? 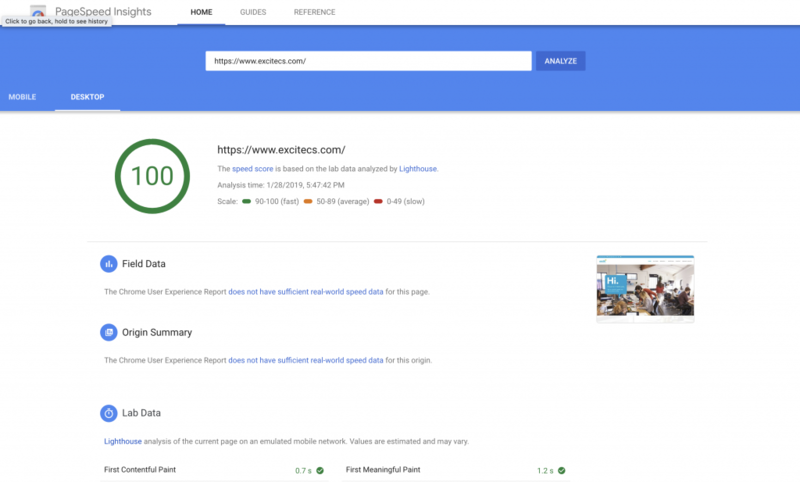 Check out Google Page Speed Insights to see, and note that your scores should be close to 100 on Desktop, and at least over 70 on mobile (scores may slightly vary over time due to server load). WordPress takes security very seriously and constantly updates its software to prevent attacks. While you should still make sure to do regular security scans and backups on your site, it’s nice to know the platform that you’re building your business on is also constantly making sure that they’re doing all they can to keep you secure as well. To further those security measures, WordPress also makes it super easy to switch over from HTTP to HTTPS – which will help not only with your site security but also with your SEO. WordPress isn’t only easy to customize, but it makes optimizing SEO something that you can handle in-house if you choose to (we train a number of clients on the best SEO practices to use for their on-going content strategies). If you don’t want to mess with it and want SEO experts to handle it, reach out to us – we’d be happy to help! One of the biggest misconceptions about WordPress is that it’s simply a blogging platform. That couldn’t be further from the truth. While it was originally developed as a blogging platform, it has changed drastically over the years, and now it can be used as the foundation for an endless number of websites. Whether you’re looking for a platform for your blog, business website, portfolio, message boards, e-commerce site, paid membership website, chatroom, job boards, business directory, eLearning modules, video-centric site, or pretty much anything else – WordPress can provide it. Want to challenge us on that? Just email us! This is one of our favorite features of WordPress – the ability to schedule your posts for automatic posting weeks, months, even years in advance. If you haven’t figured out already, Excite is big on content strategy, and we always keep our clients 2 weeks to 4 weeks ahead of their content calendar. For this reason, having the ability to schedule content in advance, and (with the help of certain plugins) customize the social message to automatically post to Facebook, Twitter, LinkedIn, etc… is super helpful. WordPress is a well-oiled machine when set up and utilized properly, and it can interact seamlessly with other components of your online presence. In closing, if you’re asking yourself, “Should I use WordPress?” We’re hoping that we convinced you that you should. There’s a reason why 28% of all websites on the web use WordPress. Have additional questions or want to inquire about how Excite can set up a WordPress site for you? Reach out to us for a free consultation!